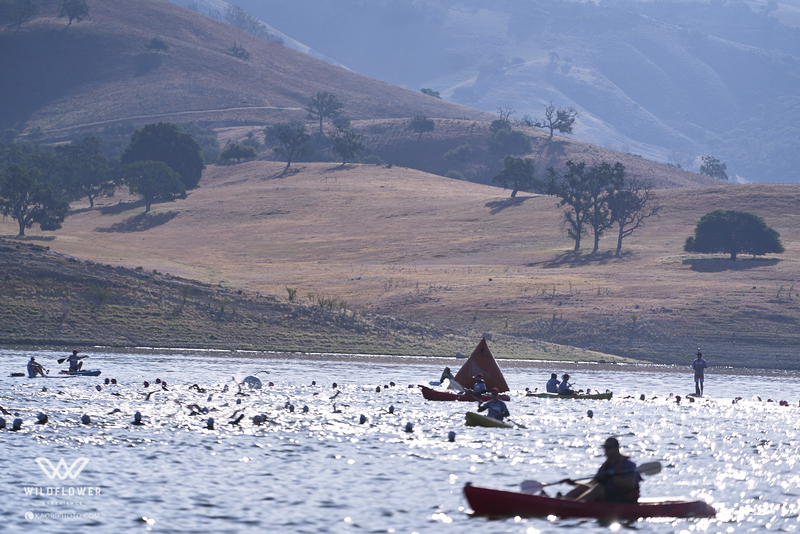 The Wildflower Long Course Triathlons is an iconic event in the sport. 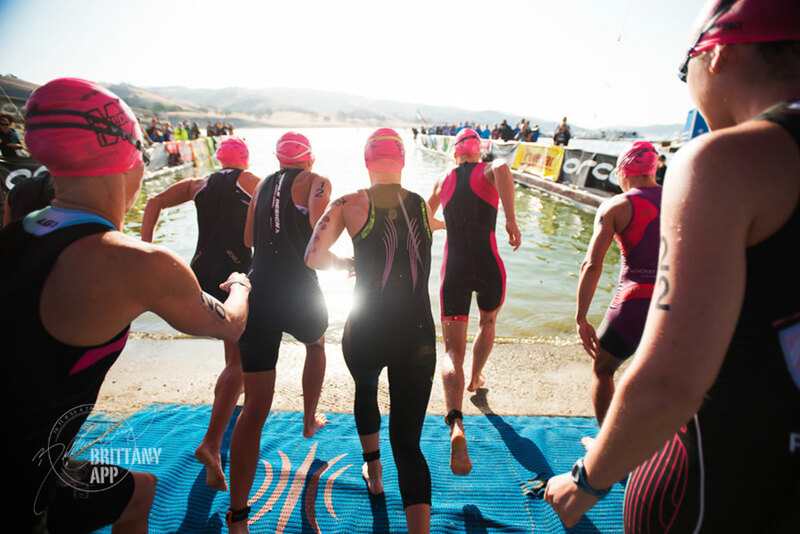 Many triathletes proclaim it to be the best triathlon in the United States. Since 1983 the event has hosted most of the biggest names in the sport. 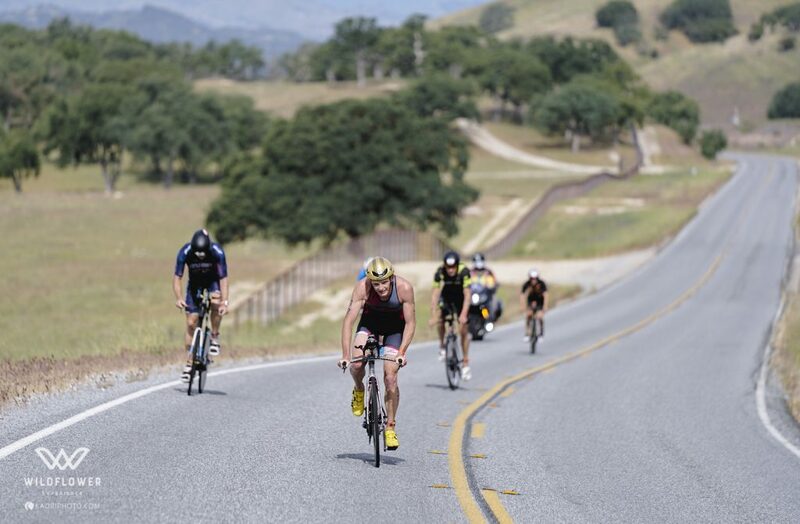 It starts with a 1.2 mile swim in the lake at 65-68 F. The bike course is a 56 mile ride through the hills, valleys, and fields of wildflowers. 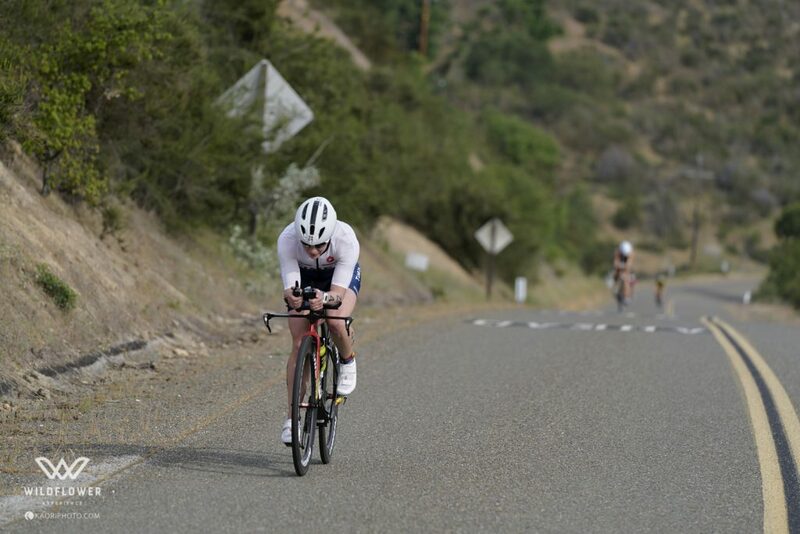 The rolling hills are hard on your legs and when you get to “Nasty Grade” (mile 40) makes them burn even more. The downhills will give you white knuckles until you get back to the park and the transition area. 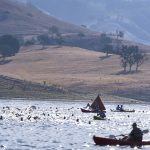 The run is 13.1 miles along the lake, creek and through the backcountry of Long Valley. It returns through the Redonda Vista and Lupine Meadows campgrounds. On San Antonio Dr. runners proceed down to the “Pit” (mile 10) then turn-around and head back to Lynch Road for the last leg wobbling downhill to the finish line. The weather plays a big part of the strategy as it is unpredictable from year to year. Contact us for special youth pricing for this race. 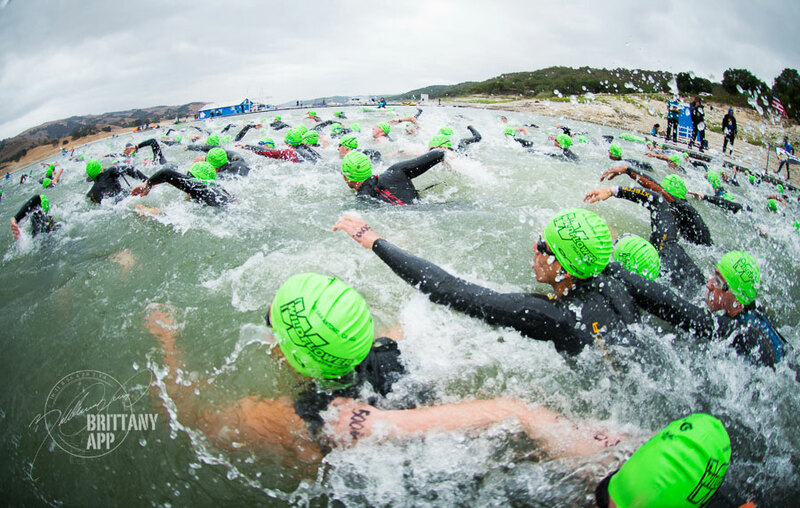 Aquabike is the fastest growing segment in the Multisport world and its coming to Wildflower! 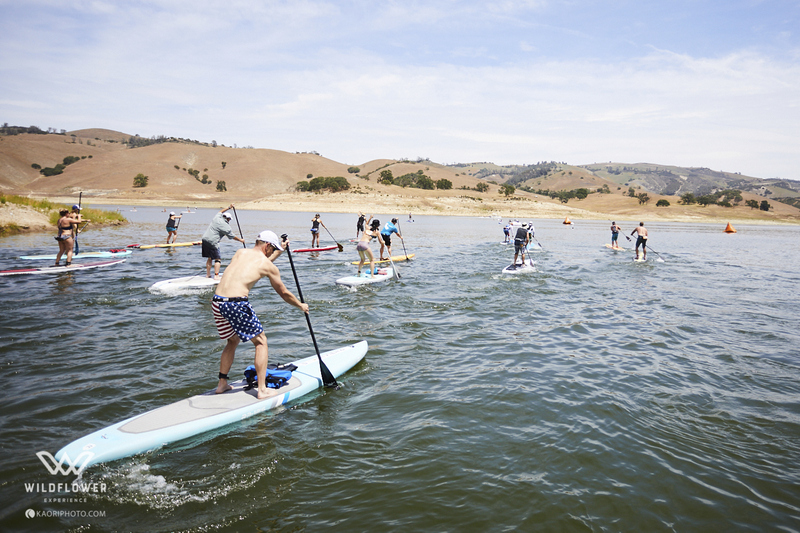 Our all-new Aquabike event joins the epic race line-up on Saturday! 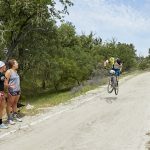 In addition to our legendary Long Course, Olympic, Sprint and Off-road Sprint distances, you now have another way to get across the finishing chute. 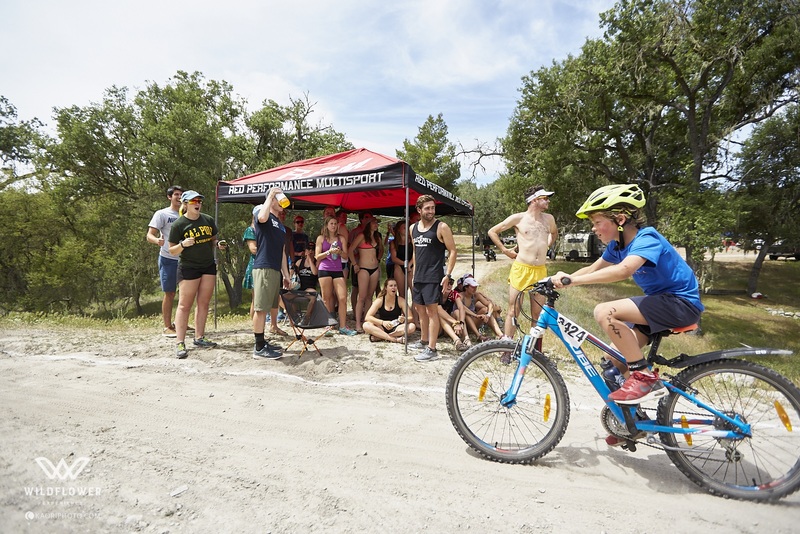 Aquabike is for those who prefer not to run (or are injured) the opportunity to race and create another exciting Wildflower Experience. 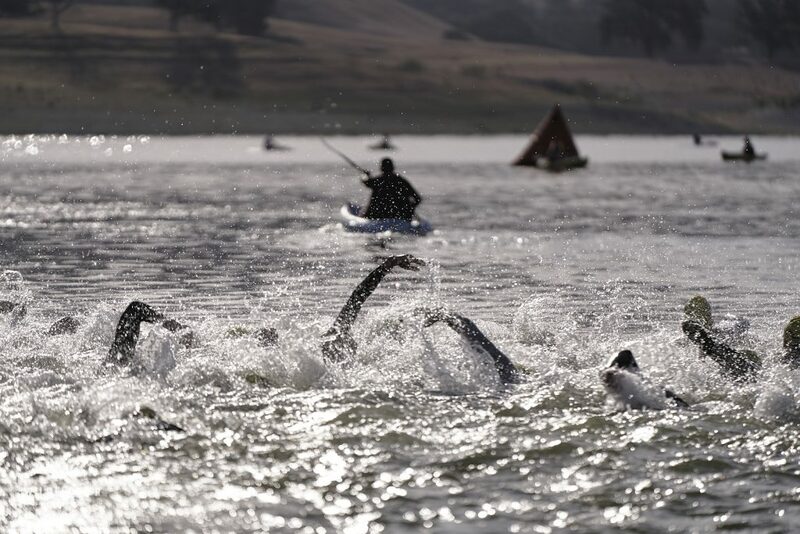 The Aquabike race will start with a 1.2 mile lake swim in the lake at 65-68 F., and then proceed on the iconic 56 mile Long Course bike course. 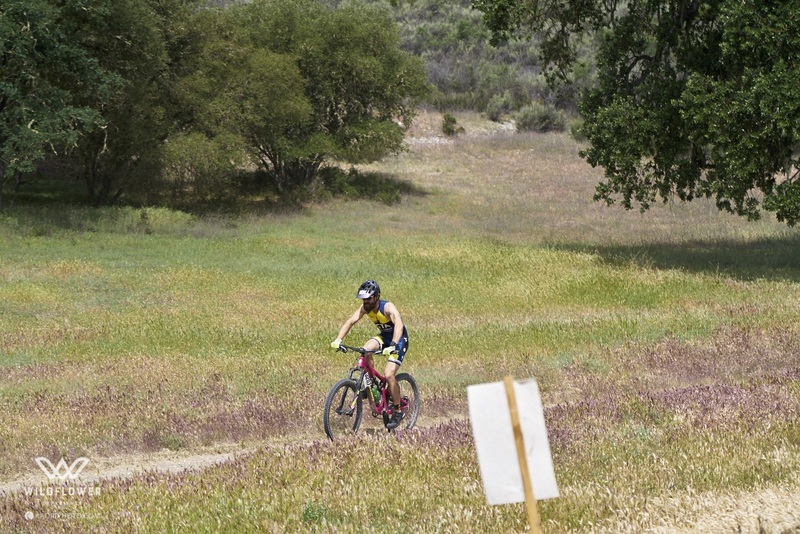 The bike course travels along country roads through hills and valleys covered in wildflowers. 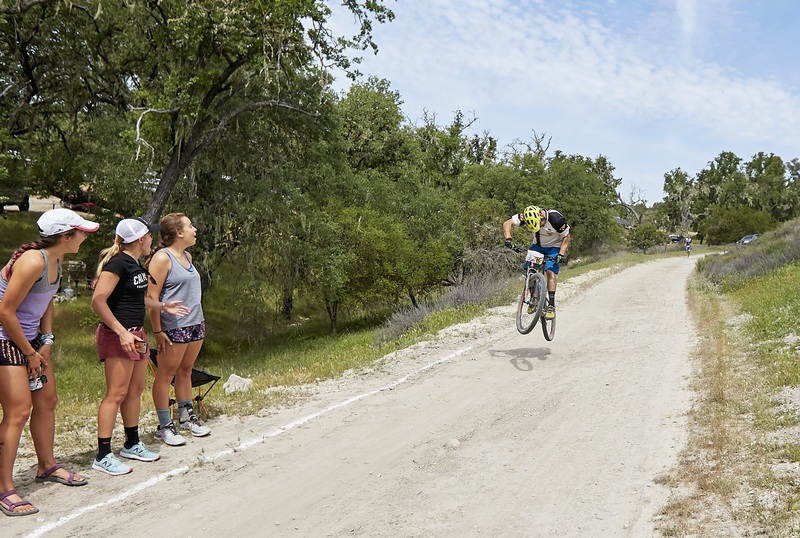 You will also be challenged by the infamous “Nasty Grade” (mile 40). 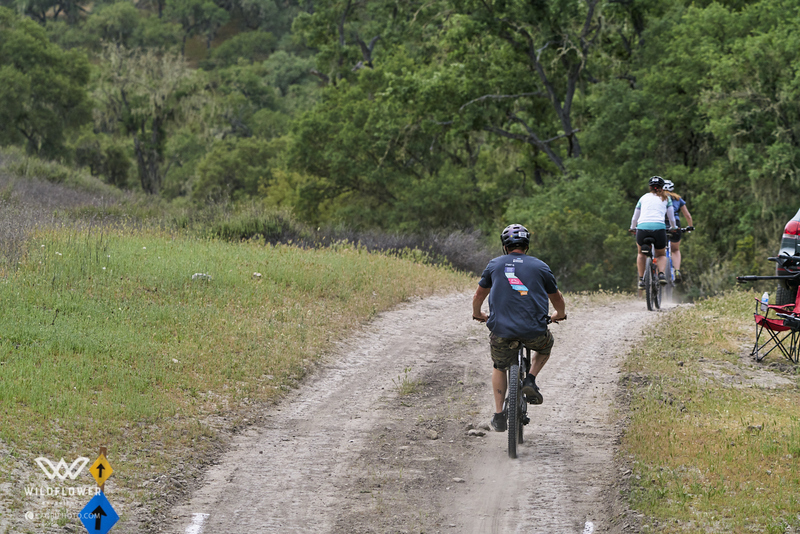 Enjoy the downhills as they wind you back through the campground and into the transitions area. 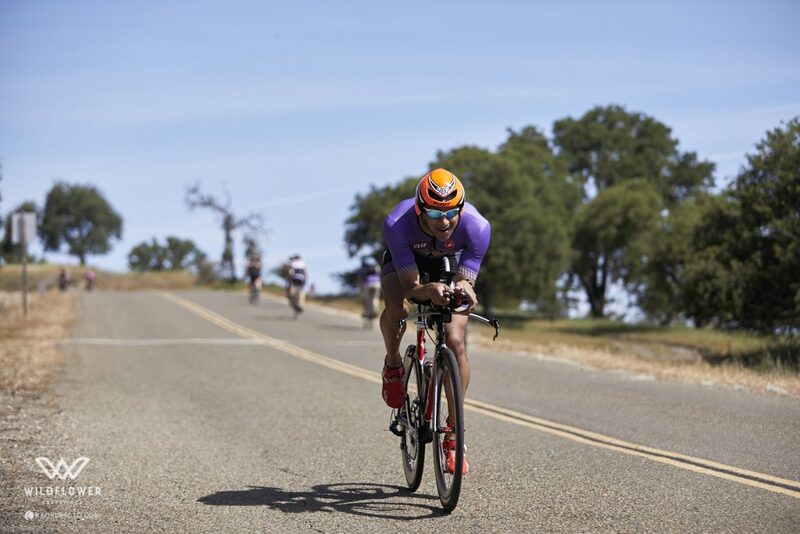 After racking your bike in T2, you will exit the transitions area and head down the finish chute and cross the iconic Wildflower finish line! 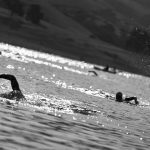 In the tradition of Wildflower being one of the most challenging events in the world, the Olympic Distance Triathlon lives up to the reputation. 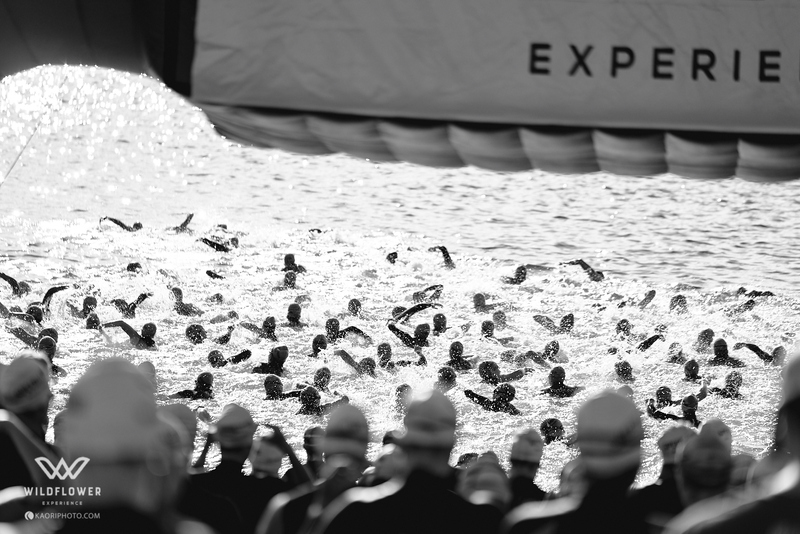 Collegiate, age group, relay teams and triathlon clubs love the challenge. The 1.5 km swim is a counter clockwise swim around buoys in 65-68 F water. It can be smooth or choppy depending on the weather. The bike course a 40 km out and back course starting right out of the transition area up Lynch Hill before any flats. The rolling on San Antonio Drive and Interlake Road seem to have many more uphills than downhills to the turn-around at the 20 Km. When you turn around for the ride back you will be sure that they turned the hills around too and they are all uphill again. When you get back into the park you get to go down Lynch Hill and have to use your brakes. 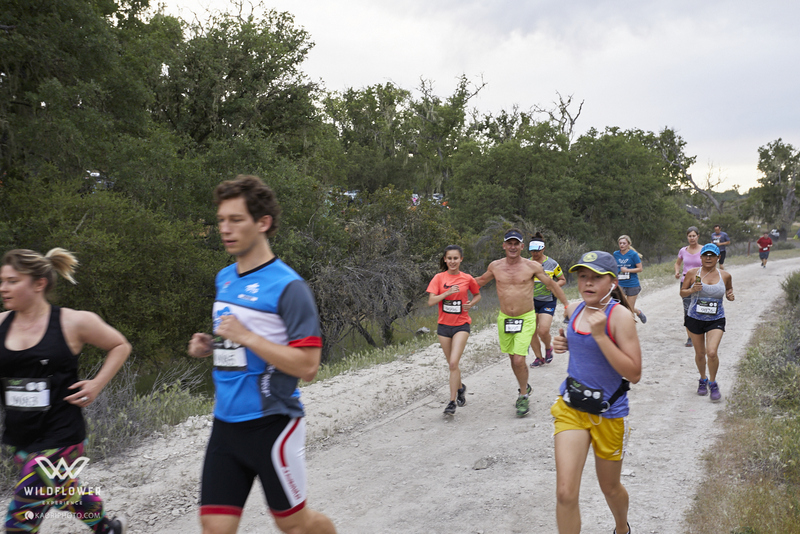 The run is along the shoreline to Harris Creek campgrounds and then on San Antonio Drive to run uphill yet again. 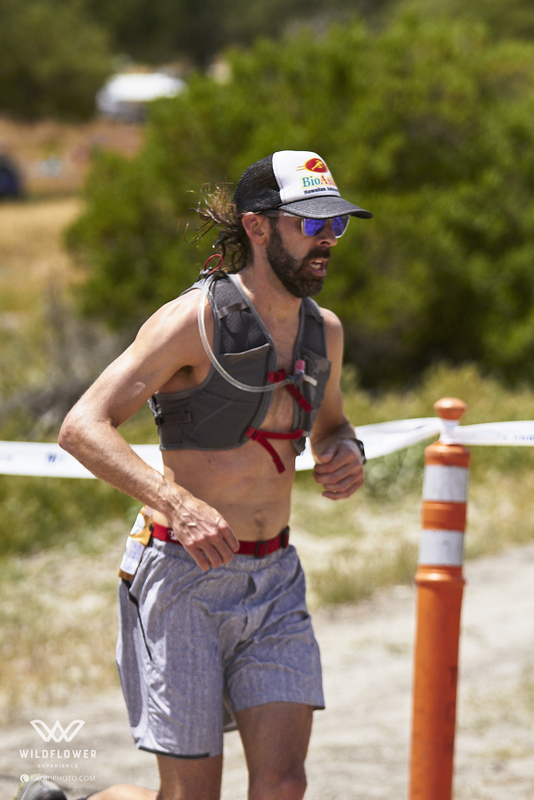 You make your way to the finish on a steep downgrade on Lynch Hill that will cause your calves to rebel against you as the finish line starts to come into view. 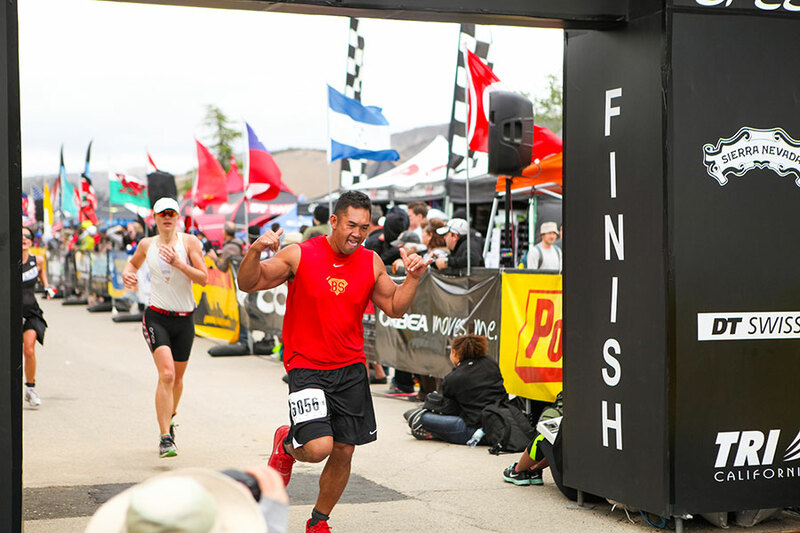 There is nothing better than completing the Wildflower Experience. Contact us for special youth pricing for this race. 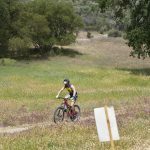 An Off-Road Sprint Distance Triathlon for those who want to get on a mountain bike and hit the trails in the backcountry. 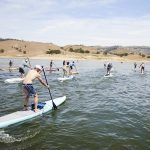 The event starts with a 1/4 mile swim followed by a 10 mile off-road bike course along the lake, through the hills and campgrounds. The run is 1 mile out and 1 mile back along Shoreline Drive. 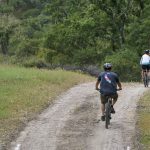 This event is perfect for the person who wants to go Off Road but still be part of the Wildflower Experience. 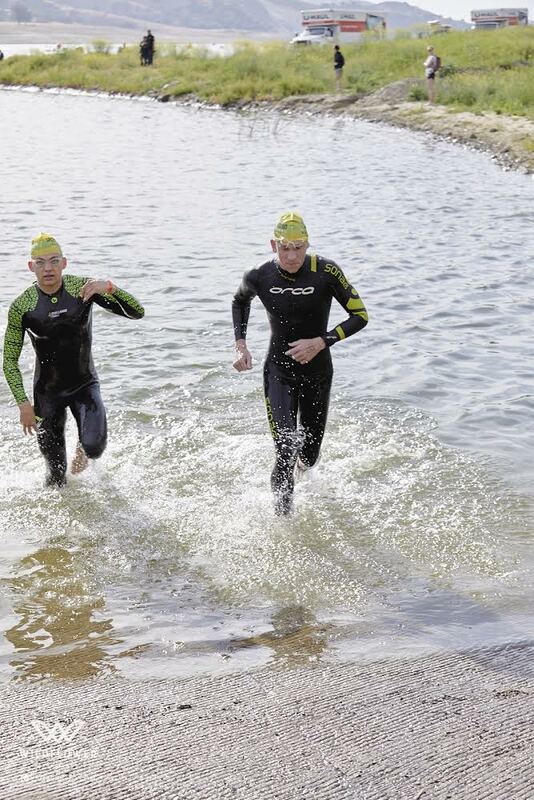 The On Road Sprint Triathlon is a challenging experience for the novice or short distance triathlete. 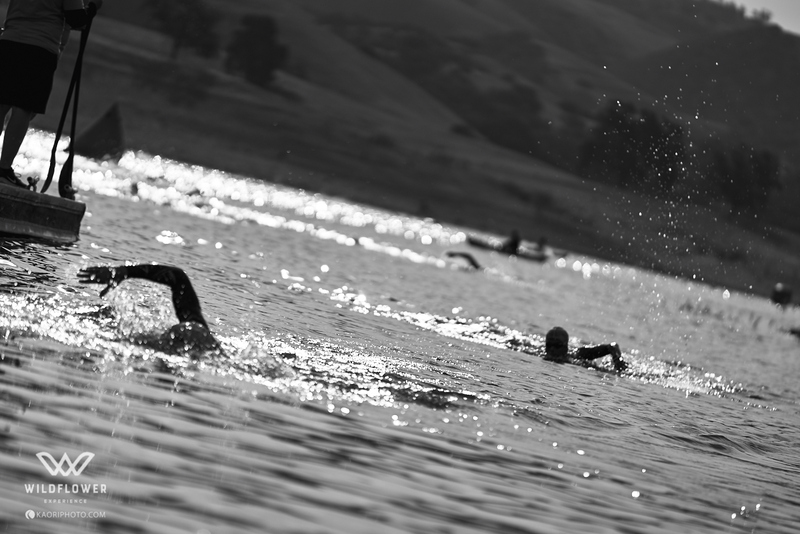 The swim is a 500 meter counter clockwise swim. The bike course goes up Lynch Hill and out San Antonio Drive and Interlake Road to the turn-around at 10K. The hills are rolling and county roads are scenic. You then head back on the same course back down Lynch Hill and to the transition area. 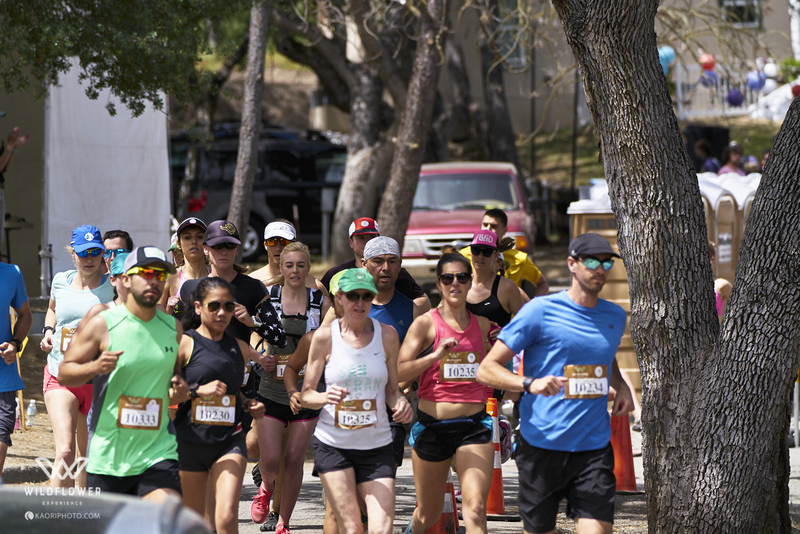 The run is a 5K run along the lake and past “Beach City” where the Cal Poly volunteers stay at night. Like all the Wildflower courses this one is tough, but satisfying when you finish. Just being part of the Wildflower Experience is worth every extra heartbeat. 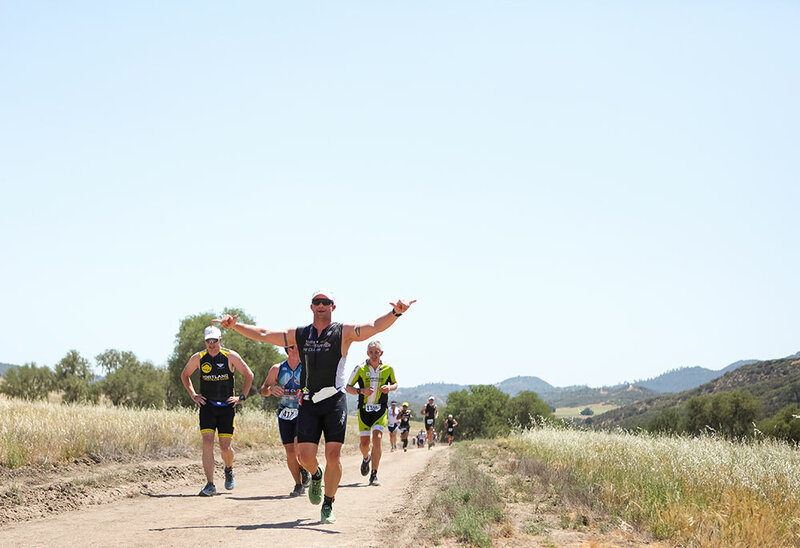 Do you love challenging trail runs, but swimming or biking are not in your training plans at this time? 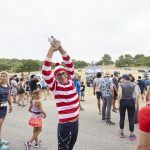 Experience a 10.7 mile long version of the iconic Wildflower Long Course Triathlon trail run with more trails than roads. 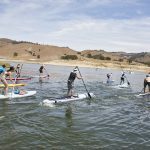 You will run along the shore of Lake San Antonio, through Harris Creek to the backcountry, up and down the hills of Long Valley and through the campgrounds and within the park. 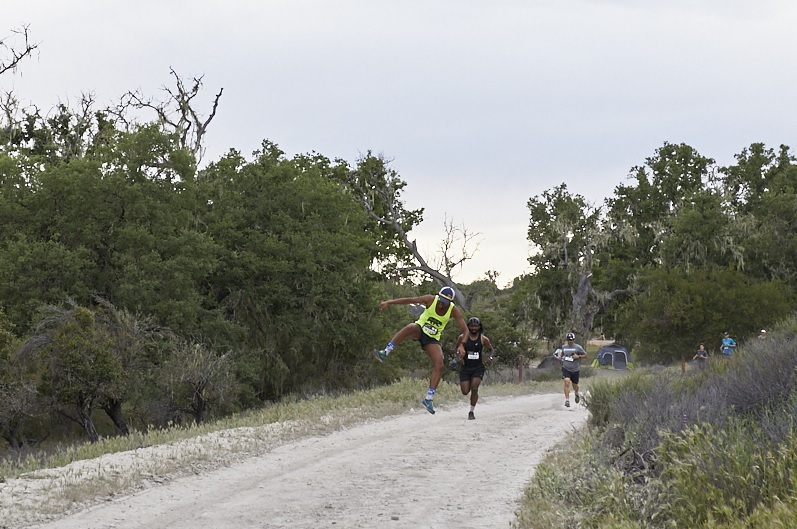 Along with a scenic run, you will be able to be part of the all-new Wildflower Experience complete with camping, expo booths, wine tasting, music, and entertainment. 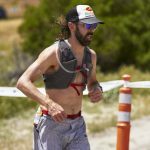 This experience is not usually available at other trail running events. 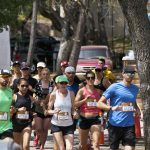 The Wildflower 5K will be a Saturday evening timed run through the Redonda Vista and Lupine Campgrounds. 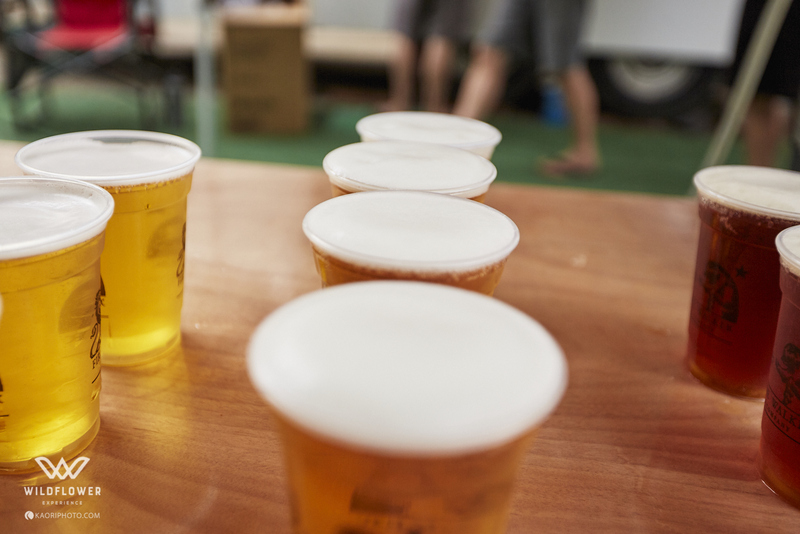 Before your fireside dinner and s’mores, you now have the option of running an evening 5K with the other athletes in the campgrounds and enjoy a nice cold Firestone Walker Lager at the Finish Line*. If you are racing on Sunday, make it a fun run to keep your anxiety down. 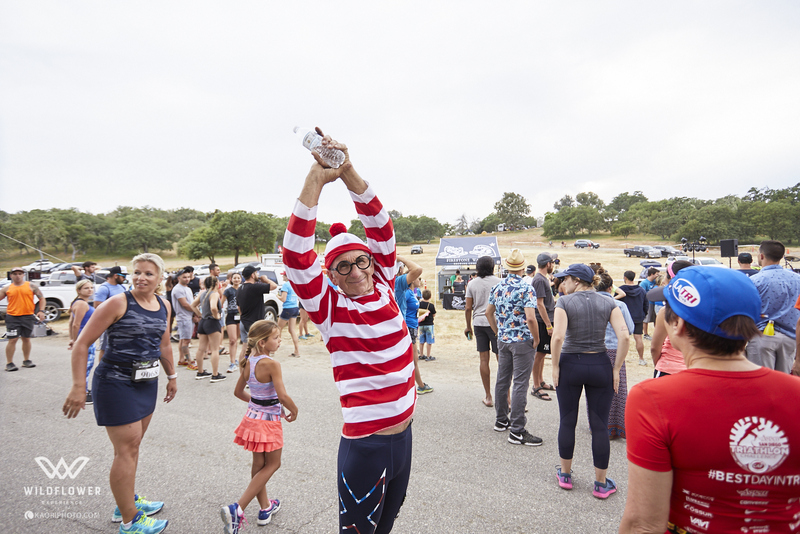 If you already raced on Saturday, it is the perfect way to loosen up your muscles from your race and join your friends and family that came with you. This event is perfect for everyone. The start will be in the Redonda Vista Campgrounds next to the outdoor theater. Runners will proceed up the hill counter-clockwise around Redonda Vista Drive. Turn right on the trail to Lupine Meadows and through Lupine Meadows to San Antonio Drive at Beach Road. Left turn on fire access trail along San Antonio Drive back to the Redonda Vista Intersection. Turn left on Redonda Vista Drive to the finish line near the outdoor theater. * must be 21 and have a valid photo ID for the complementary Firestone Walker Lager. 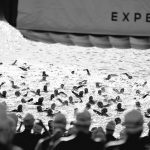 So, you want to be a part of the Wildflower Experience, but you’re not into swimming and cycling? 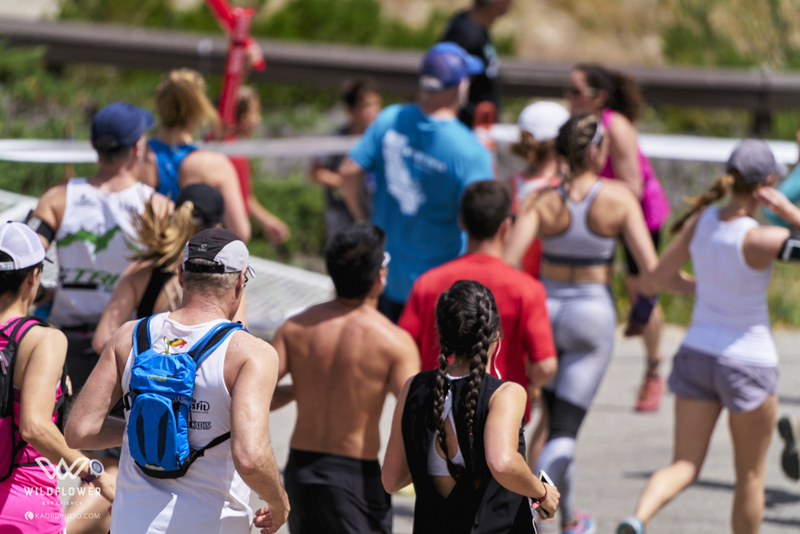 The Wildflower 10K is perfect for you to experience the same run course that the Olympic Distance triathletes will race on. 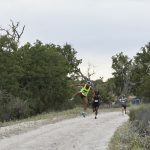 You will run along the lake on Shoreline Drive and fire access trails to Harris Creek and then experience the long uphill trek on San Antonio Drive from Harris Creek to Beach Hill. You will proceed back on the trails to Lynch Hill and then back on the road down the hill to the finish line. 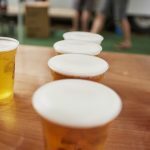 You can enjoy the rest of the day with food, wine and music while the triathletes are finishing. 10 km Start on Shoreline Drive by the Festival Stage between Festival Area 1 and Festival Area 2. Depart on Shoreline Drive and proceed through “Beach City” to Harris Creek. Proceed on the fire access trail along the water, through the campgrounds past the parking lot onto San Antonio Drive. Proceed on San Antonio Drive until the Beach Hill intersection. Follow the fire access trail next to San Antonio Drive back to the Lynch Intersection. Go back on the road and turn right down Lynch Hill to the finish chute. 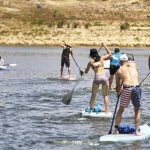 We are excited to announce that Stand Up Paddle board (SUP) races will be returning to Wildflower! 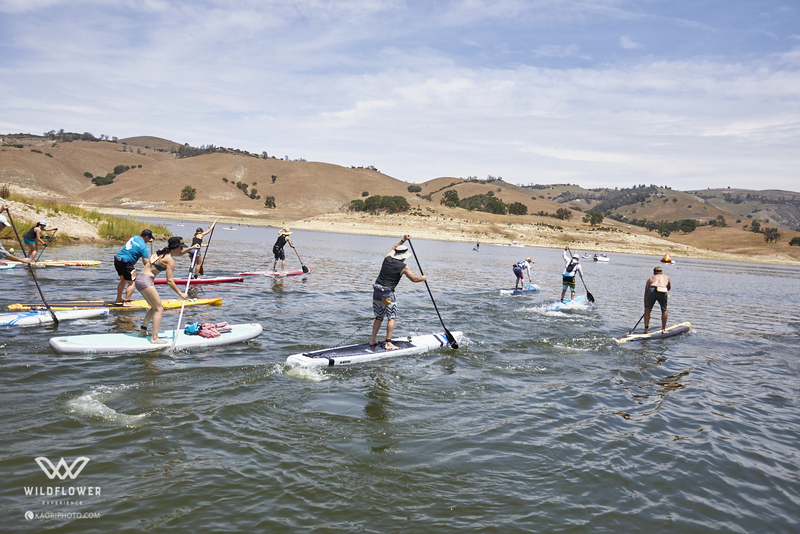 These races are designed to be inclusive for everyone from beginner to expert. All ages and levels are welcome to participate in our 2-mile Short Course. 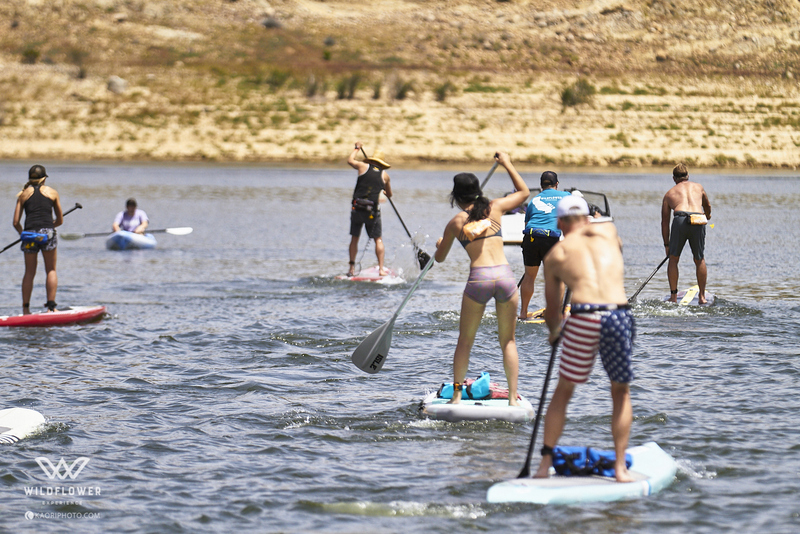 Unlimited class board types are allowed in these unsanctioned SUPAA races.